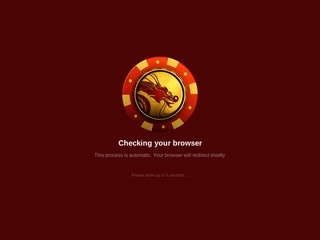 Mandarin Palace Casino will then reward you with a bonus (Welcome Bonus is for new players only). The terms and conditions of the bonuses vary between different casinos and might also change over time and between different countries, so it is important to compare the different offers and read the T&C for Mandarin Palace Casino before signing up. Judging by the name itself, it’s easy to derive that Mandarin Palace Casino is themed on all things Oriental. The casino was established in 2009; Genesys Technology N.V. is the owner and operator and the software comes from US-friendly companies. Genesys Technology powers several other casino sites and applies the same reliable and experienced management techniques on its Asian-themed project. The Asian feel is present on every page while the focus seems to be on slots, game-wise. Mandarin Palace online casino operates under a license issued by Curacao eGaming and has more than a third of the entire portfolio available on mobile. The casino offers a 100% bonus up to $500 as a welcome to new players and there are more incentives published every week. Unlike some casinos, Mandarin Palace is not overstocked. The website holds no more than 160 games which are done in high definition and feature appealing themes. We have mentioned that slots are the main selling point of Mandarin Palace, but players can also relish in table games, keno, and scratch cards. The package can be downloaded and installed on your home computer, or you can access the mobile version with around 60 games on display. The software originates from the workshops of Rival Gaming and Saucify. Well-known among US gamers, Rival Gaming produces excellent software with decent payouts and fun gameplay. Saucify is a rather unique developer with games that are rarely seen on the market. It pays off to visit the Far East if you’re going to find valuable items such as original video slots. Let’s get right to it. Mandarin Palace is home to over a hundred amazing slots manufactured by Rival end Saucify. It may be best to start with the Featured section; in it, you’ll find games like Lion’s Roar, Lucky Labyrinth, Aladdin’s Loot, Elemental 7s and Age of Spartans. Slots are divided into Video Slots and Classic Slots. The first group includes titles such as Arcadia i3D: Max Ways, Diamond Dragon, Cash Flow and Football Fever. If you’re more into traditional slot machines, you should check out the Classic Slots section where you’ll find Minted Sevens, Wild Berry, Overdrive, Cash Puppy and Break the Bank (not to be confused with Break Da Bank). Online gamers on the lookout for good table games will by no means be disappointed with what Mandarin Palace casino has to offer. The choice may not be as extensive as it is at some other casinos, but the games are immersive and worth betting on. The list of available tables includes Single Deck Blackjack, Atlantic City Blackjack, European Blackjack Elite Edition, European Roulette, Vegas Strip Blackjack, Three Card Poker and Punto Banco. In addition to plenty of slots and table games, Mandarin Palace has a fine assortment of video poker games. In fact, the collection is so rare and intriguing that we can see it appealing to any video poker fan out there. Each of the offered machines has a 10-play version and a 50-play version and it’s up to the better to decide which one to load and wager real money on. Some of the games are Aces and Faces, Deuces Wild, Double Double Bonus Poker, Jacks or Better and Rocket Jacks Poker. In the Other Games section, keno is the dominant type, with some scratch cards to season the experience. There are no live dealer games available at Mandarin Palace. Mobile users and desktop players with funded accounts at Mandarin Palace Casino don’t have access to any licensed live casino tables hosted by real dealers. That is the current situation, which does not exclude the possibility of live casino being added to the portfolio at some point. Mandarin Palace accepts players from various parts of the world, including Canada, USA and Europe. Therefore, it accepts several currencies: GBP, EUR, USD, CAD, Norwegian NOK, Danish DKK, and Swedish SEK. Players joining in from different areas have access to different sets of banking methods, but overall Mandarin Palace processes payments made with Visa Credit cards, Skrill, Direct Bank Transfer, Neteller, Ecopayz e–wallet and Bitcoin. Usually, withdrawals are finalized in a matter of days but the waiting period may turn into weeks if the cash-out method is Check/Courier Check. Web wallets are the fastest method, and have zero charges. When you join Mandarin Palace you can get access to a Help Guide, one that looks much like the Windows Help Guide. It’s also possible to get in touch with the support representatives directly, by starting a live chat session or making a telephone call (toll-free). The team guarantees 24/7 service and a dedicated email support. 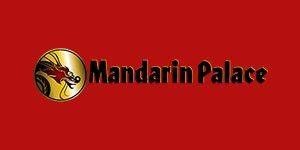 Even though you can’t follow Mandarin Palace Casino on social networks you can still keep up with the news by regularly visiting the site and maintaining your account alive. The site is available in English, German, French and Italian.